Watch for the blue comet flags, and hail the Avon Comet for a ride around the town core. AVON — The town of Avon is piloting a free hail-and-ride service this summer. Every weekend in July and August, Friday thru Sunday, the Avon Comet will circulate around the Avon town core looking for hails from 11 a.m. to 6 p.m.
Watch for the blue comet flags, and hail for a ride. The Avon comet will circulate by Avon Station, Lake Street Station, Sheraton Station, Christie Lodge Station, ANB Bank Station (City Market), Loaded Joe’s Station and back to Avon Station every 5 minutes. 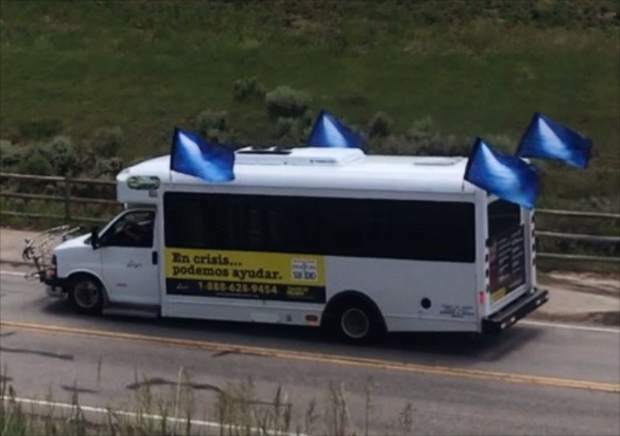 For more information, contact the town’s Mobility Director at ewilson@avon.org or call 970-390-2014.